Emotionally, that is. If you can connect emotionally to your goal then you’ve engaged your Elephant, and your chances for success increase exponentially. The idea of getting into shape is nice, but if you aren’t feeling the desire for change in your gut then it won’t go anywhere. Feel it. Feel it. Feel it. If you want to eat for fat loss then look no farther than this fantastic recipe! Fresh ginger and spicy Sriracha take this ground chicken dish to the height of flavor and satisfaction! Enjoy this dish as a quick and healthy dinner with flavors that intensify overnight for an even more satisfying lunch. In a small bowl combine the arrowroot starch and water. Set aside. In a large skillet or wok, place the coconut oil over medium high heat. Add the scallion whites, ginger and garlic and stir-fry until softened, about 2 minutes. Add the chicken and stir-fry, breaking it into smaller pieces, until no pink remains, about 8 minutes. Add the bean sprouts, stevia, coconut aminos, and Sriracha. Stir the arrowroot starch mixture and add it to the pan, mixing until it thickens. Add the scallion greens and season to taste with the sesame oil. 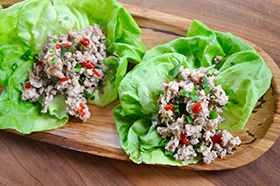 Serve the chicken in large lettuce leaves topped with fresh cilantro and more Sriracha. Enjoy! Nutritional Analysis: One serving equals: 279 calories, 13g fat, 5g carbohydrate, 113mg sodium, 1g sugar, 1g fiber, and 35g protein. Spread the word. Use the “refer a friend” link below to forward this newsletter and subscribe your friends. 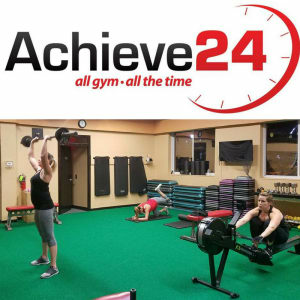 Want to open your own Achieve 24 Fitness email info@achieve24fitness.com now. This message was sent by info@achieve24fitness.com to $RecipientEmail$. I started training with the personal trainers at Achieve 24 early this year, and all I can say is it was so worth it. I've lost weight, gained muscle, become stronger, and have had the greatest confidence boost! If you want an environment that is nothing but encouraging, Achieve is where to be. 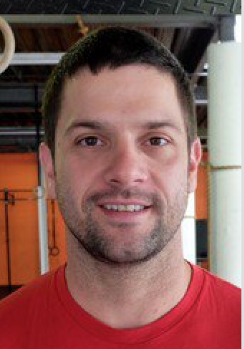 From the trainers, to the clients, everyone is so friendly and so personable and it really makes it easy knowing that everything there is on the same journey as you and you all share that one common interest.